Unilever launched Axe and Lynx Anarchy, a range of products designed for young men and young women, with “Unleash The Chaos”, an integrated advertising campaign. Anarchy For Him and Anarchy For Her, available as body sprays, are promoted as factors that spark attraction between guys and girls. With more than two million fans on Facebook in the U.S. alone, about a quarter of whom are female, AXE wanted to let girls share the AXE experience with their guys. 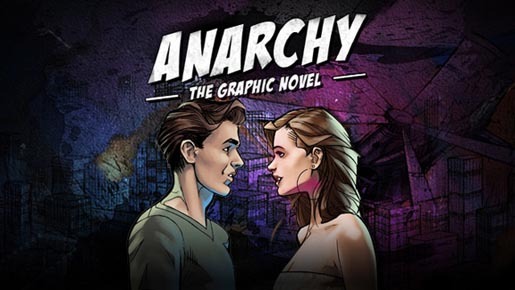 The campaign began with Anarchy: The Graphic Novel, a comic series, designed by renowned comic company Aspen Comics, updated every few days based on real-time user-submitted ideas and poll votes. “The Chain”, a television spot, shows the chaos unleashed when both young men and young women use the Anarchy body spray. Out of home posters and print advertising, Fireworks, Petrol Station and Dog, explore the theme of attraction being explored at any cost, despite it leading to chaos. The campaign won a Press Lion at 2012 Cannes International Festival of Creativity. 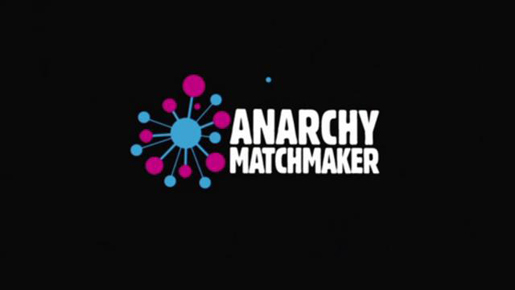 “Anarchy Matchmaker,” a Facebook game, takes a spin off of the “Who Do You Like?” game by asking users to select friends they are into, who are then invited to also play. 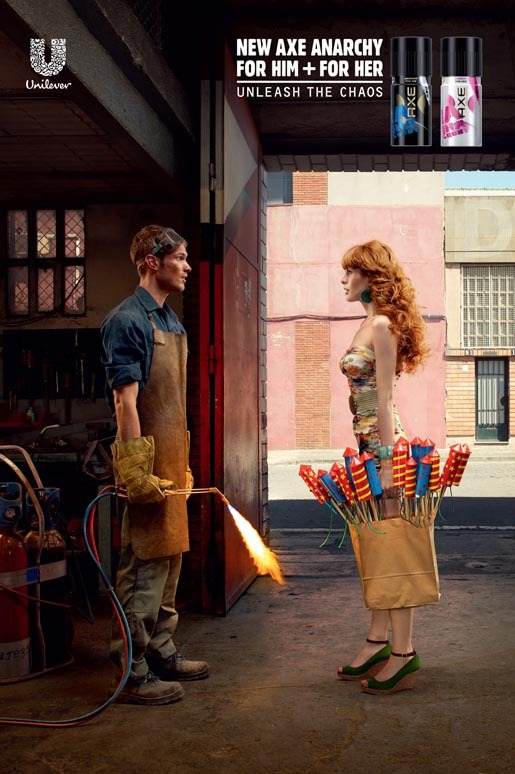 Matches are made public if the users’ admiration is mutual. The Axe Anarchy campaign was developed at BBH, London, by executive creative director Nick Gill, creative directors David Kolbusz and Dominic Goldman, copywriters Daniel Schaefer and Dean Woodhouse, art director/typographer Szymon Rose, art director Hugo Bierschenk, account supervisor Keir Mather, account manager Jennifer Omran, planners Jonathan Bottomley and Tim Jones, art buyer/print producer Jeremy Gleeson, agency producer Ruben Mercadal, and assistant producer Roz Prentice. 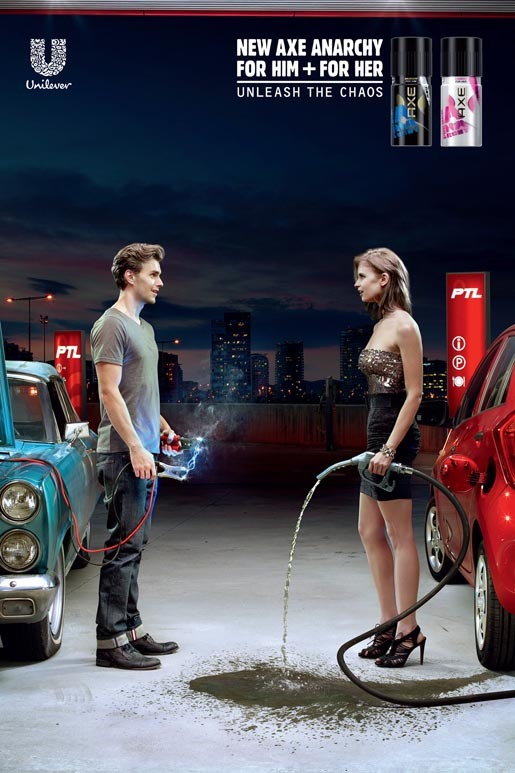 Photography was by Jean-Yves Lemoigne, with retouching done by Gary Meade. Filming was shot by director Tom Kuntz via MJZ with producer Suza Horvat and director of photography Eduard Grau. Editor was Rick Russell at Final Cut. Visual effects were produced Framestore. Sound was produced at Factory, London.